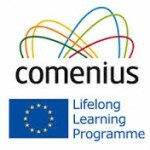 In of March (16-18th) Rowan Gate Primary School welcomed visitors from Ireland, Portugal and France as part of a 2 year Comenius project, which links schools across Europe in an art and cultural appreciation. The ‘Smart through Art’ project has encouraged pupils to develop their creative skills and has given them an opportunity to share similarities and differences between cultures and countries. The project aims to develop children’s understanding of global citizenship and promote European Unity and cooperation, demonstrating to wider communities that children from six different school can work together to achieve common goals. Additionally this project has provided the funding for children form Rowan Gate to visit Portugal, France and Ireland. Photographs in press release were courtesy of Peter Hughes at Photography by Phiish. Thank you Peter for all your help and support.